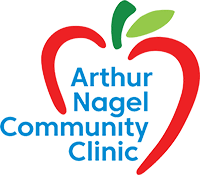 The Arthur Nagel Community Clinic has many opportunities for individuals, businesses, and churches to give. AmazonSmile is a way you can help the Arthur Nagel Community Clinic. When shopping online, don't forget that Amazon will donate 0.5% of the price of your eligible AmazonSmile purchases when you shop at AmazonSmile at smile.amazon.com for Arthur Nagel Community Clinic. Amazon will ask you to pick from a list of charities you support and look for Arthur Nagel Community Clinic. Click on it and you can effortlessly help fund the Clinic's mission! Funds go directly into the Clinic's account. Legacy Giving enables you to make the Clinic a beneficiary of your will, trust, IRA or other retirement plan, life insurance policy, or charitable remainder trust. You may also choose to leave the Clinic specific assets such as personal property, real estate, stocks, or bonds. Contact the Clinic for more information. Questions? Please contact Chuck Lutke, Executive Director at 830-796-3448, executivedirector@nagelclinic.org for information about how you can make a difference for the community.